Tired Of Your Cat Urinating In the House? Do You Want To Stop This Behavior? Once And For All? The Litter box is right there! But she just doesn’t want to know! Until they start urinating in places other than the Litter box! I’m sure you will agree with me when I say when your Cat has urinated somewhere other than the litter box, it can literally make your house smell like a litter box. The strong smelling protein, which is in Cat urine, is a scent that is near impossible to get rid of. Your cat is peeing in the house because he is trying to tell you that something is wrong. So the first thing you have to do is address the problem on why your Cat is behaving in this manner. Are there other Cats coming into your Garden? Or maybe he is not happy about his litter box? It is vital to make sure that your Cat is not suffering from any medical condition as this is the most common cause of incontinence in Cats. Bladder stones – if your cat’s abdomen is tender to touch, or you notice that he is going to the litter box often or you can see he is in some kind of pain or distress for example crying or meowing then you can suspect there may be some sort of obstruction of some kind. If you see some traces of blood in your Cats urine then it is likely that your Cat is suffering from a serious blockage. You must take your Cat to the vets immediately. Feline interstitial cystitis – Your cat may pee suddenly and because of this cannot make it to the litter box. 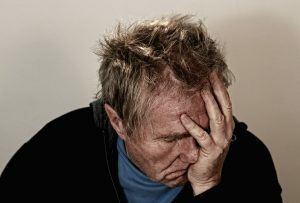 This can happen because of inflammation of the bladder. it’s important to know the difference between spraying and marking their territory. Cats will mark their territory if they feel threatened. You need to ask yourself, is there a reason why your Cat needs to either mark or claim their territory? If your cat has a habit of peeing in a spot then he will most likely return to the same spot. This is because the smell is there which makes the Cat think it is the right place to urinate and also because he has the habit now of peeing in the same spot. Cats are known to be very clean animals. Think about it, how much time do you see your Cat groom themselves throughout the day. If their litter box is not clean then they will not use it. Would you use a dirty smelly toilet? I highly doubt it. Therefore Cats will not use a litter box that is dirty. We tend to ignore the obvious and take our Cat to the vet immediately only then realize that the problem is very simple and right in our face. The Litter Box. Is your litter box located in a place where there is not much privacy? Do you have enough litter boxes for all the cats you have in your house? Has you Cat ever been prevented usage to the litter box? Does the litter box have sides or hoods that are high? Whilst your Cat has been using the litter box, have they ever been interrupted or been upset? Could there be any negative associations your Cat might have with the Litter box? Is the litter box placed a spot which is cramped? Could the litter box being placed in a cramped spot strike fear of getting trapped? Or make it difficult to escape? When you have identified the reason your Cat is peeing in the house, you can then begin to change it’s behavior which will take time. Moving houses will have a big impact in your Cats life because it will be new territory and also there might be scent left from the previous owners pet which may make your Cat react. Your will also be claiming and adjusting to this new territory. It’s important to lovingly reassure your Cat and remove any odor previous cats may have left in order to stop your cat from marking their territory. You’ll need to remove any traces of smell where your Cat is urinating or you can block it off completely. When cleaning the spot you should use enzymatic and cover the the area with foil or plastic and prevent access to this area for several weeks in order for the neutralizer enough time to work. You should reassure your Cat and show that your Cat is an important part of the family. Give them extra attention, affection and always praise your Cat. Never shout or scream at your Cat and drag it to the litter box. That is a big no no! 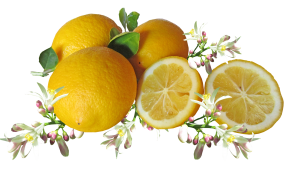 You can also leave orange and lemon peel in the places where your cat is urinating. Cats hate citrus scents. Just make sure you replace the peels once they get old and lose their smell. Once it is cool, you can pour it into a spray bottle. Add two teaspoons of lemon juice and squirt dish soap preferably lemon-scented and then shake to mix it. 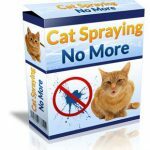 This can then be used to spray on walls, furniture or any part of the floor you want your cat avoid. In order to stop your cat from peeing in the house, then you must remove the odor. You cat will keep returning to the area as long as the scent is there as they can pick this up. Clean up the urine as quickly as possible. You should wipe up the urine with paper towel and then use a odor neutralizer and a disinfectant. Use a cleaning spray that contains orange oil as this works best. Why? Because as mentioned before, cats hate the smell of citrus and will avoid it. You can also use vinegar and warm water solution. Not all urine will be noticeable so you will need a black UV light to show you everything even in spots that you did not know about. 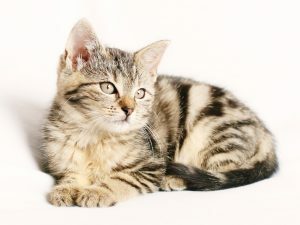 You can use aluminium foil to cover up the spots where your Cat has urinated as Cats do not like the texture or sound of it and will tend to avoid it. Another option is to move your Cats food and water dish as a Cat will not pee where it eats. But do remember, this does take time and patience. If you really want your Cat to stop peeing in the house then it’s important to get to the root of the problem. Why are they peeing outside the litter box? I, personally had this problem with my Cat peeing everywhere in the house! He would spray everywhere and pee where he wants. Even with the litter box right in front of him he wouldn’t use it. 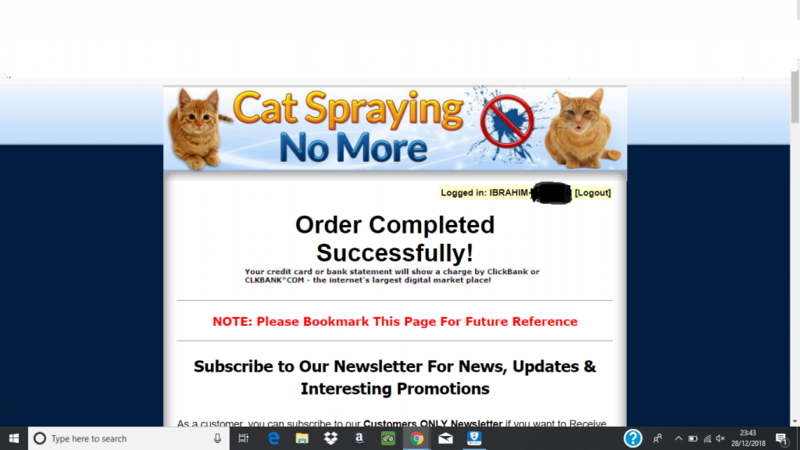 So I decided to give this guide called “Cat Spraying No More” a try and boy I’m so glad I did! It’s a step by step system that anyone can follow! And to be honest with you, at first it does look sketchy but I have no regrets! At the end of the day, I wanted to remove this common problem and pain that every Cat parent goes through. Instead of shouting or using a stern voice I now know the real reasons my Cat will not use the litter box. For me, this is the most important thing being a Cat parent – building that connection and helping my Cat do what’s right which in reality helps me too! My Cat has stopped spraying in the house now.. Happy days! I would recommend this guide to every Cat Parent – it really is a must have! But hurry because the price could change anytime! Oh and did I mention this comes with a 60 day money back guarantee! So if you’re not entirely happy with this then you can get a FULL refund within 60 days. No questions asked. So basically it’s a win win situation.